Though you may be able to go out and swing for a few remaining Sockeye Salmon, we have primarily seen the first run come through and now come to an end. 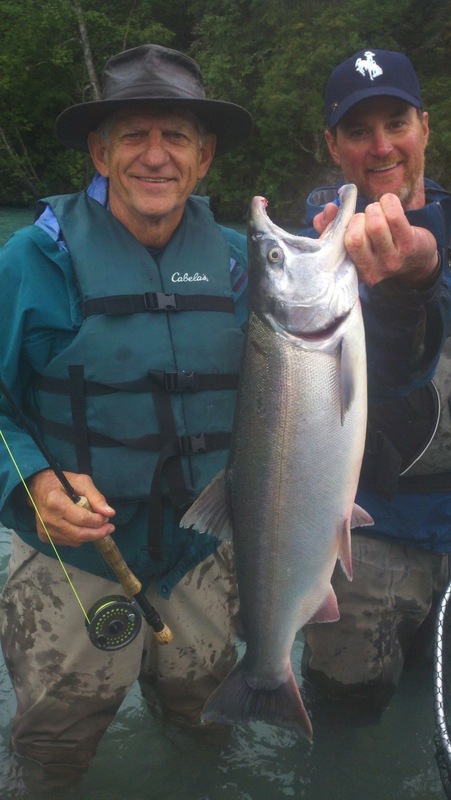 This places us back onto the river turning our focus back once again to fly fishing for Rainbow Trout and Dolly Varden. We have been out there the last few days fishing for these species and though not like it can be in the fall, we’ve still had some beautiful days on the water catching and releasing some beauties! With the Sockeye run having been in the waters and many down here catching and filleting ron the river recently we are having success picking up those Rainbows and Dollies on some nice juicy flesh flies. It’s a time fun time to get back out there and start feeling out where these fish are again after the Kenai River had it’s 50 year flood last fall and our focus being mainly on Sockeye for the past few weeks. 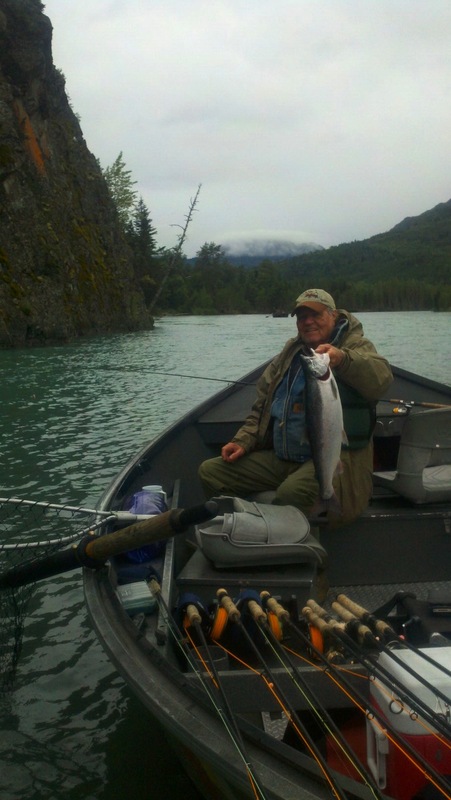 This entry was posted in River Report and tagged Alaska, catch and release, Dolly Varden, Fish, Fly fishing, kenai river, rainbow trout, rainbow trout fishing, Salmon, Sockeye, Sockeye Salmon, Trout on June 28, 2013 by jenharpe.